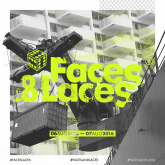 Nastya Kaerfkrahs: “In process of making a new Waii Waii Podcast. The last one was almost 1,5 year ago and from Shanghai. ?? there! 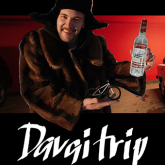 www.kaerfkrahs.com/Waii_Waii-Podcast. This one will be about 1:26:00. Great for riding/skating/designing or exploring the city. 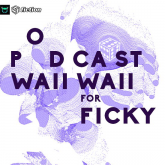 Oh yeah, and small changes: now it’s Waii Waii Podcast for Ficky ( FICTION WEAR ). Online September 1st”. 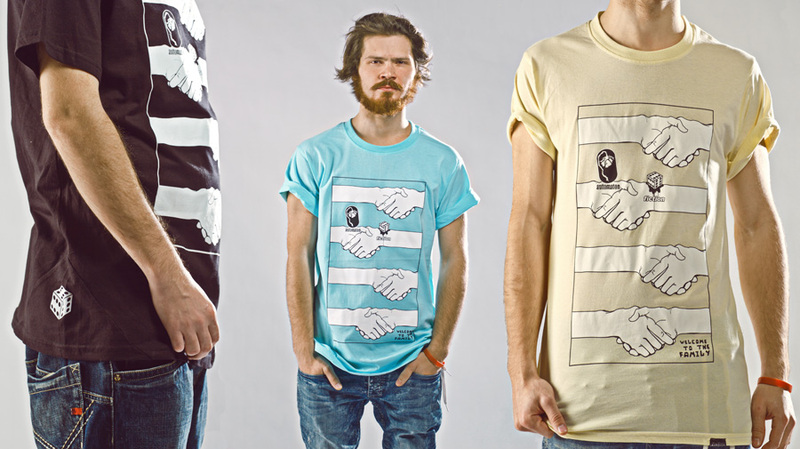 Collaboration project of FICTION Wear and Nastya KFKS – Waii Waii Podcast for Ficky. 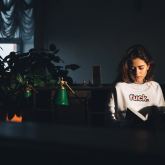 The music program of Nastya under the patronage of FICTION. New podcast is published every two months. C O L L E C T G O O D M U S I C ! 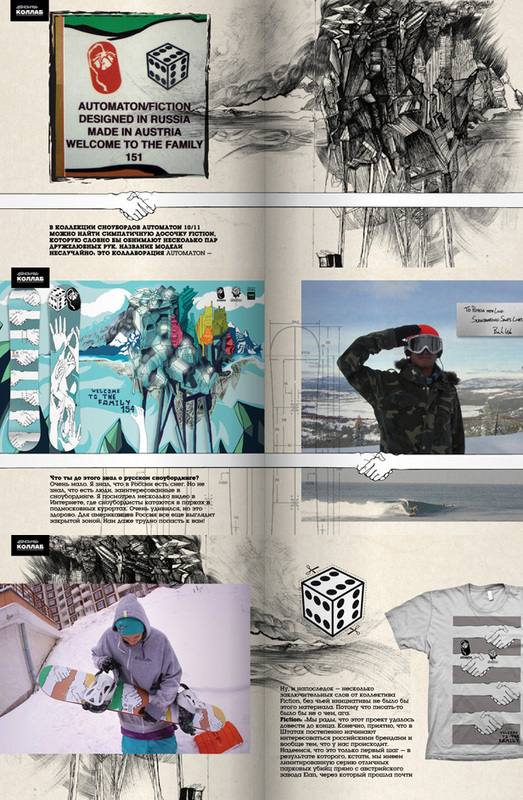 The first collaboration between American and Russian snowboard brands. 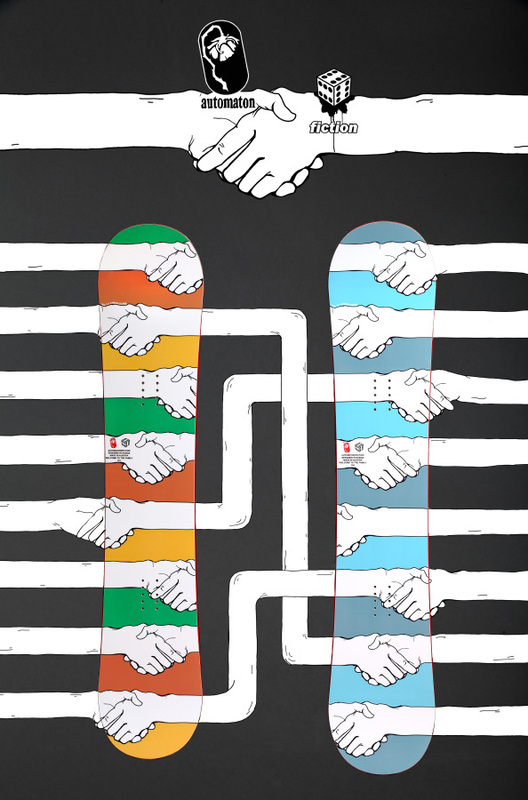 Automaton – small snowboard company from California. 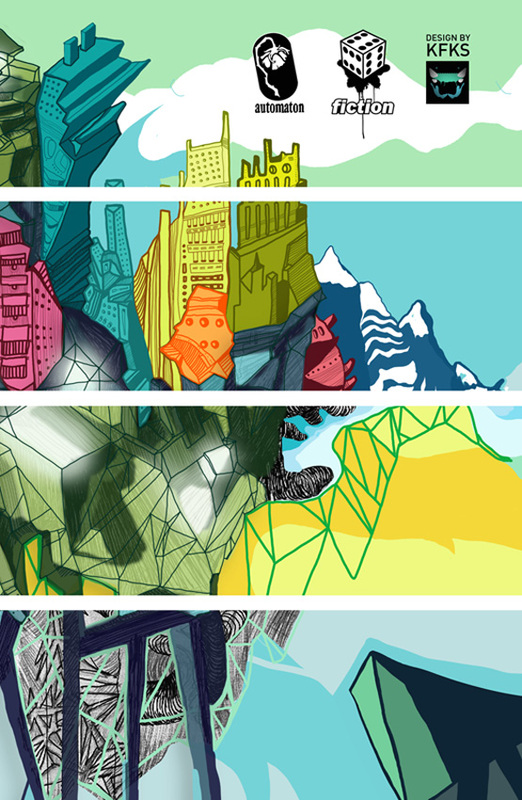 Main point in Automaton snowboards is design. That is what people likes them for. 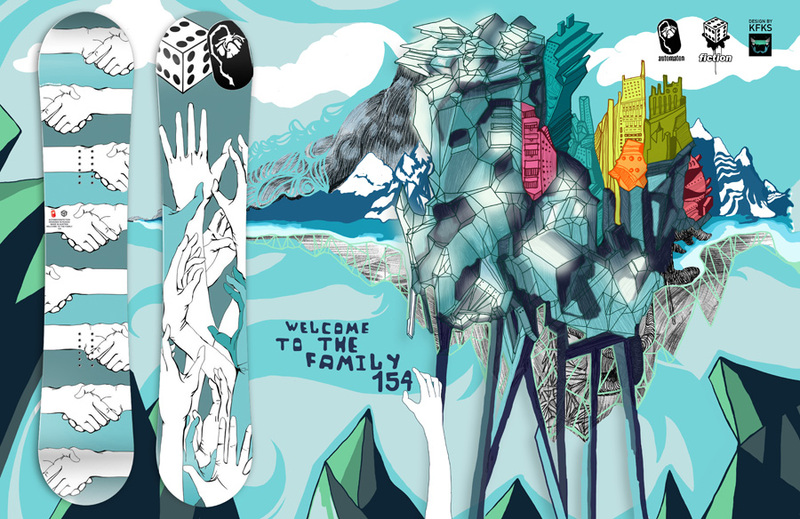 And especially for russian market two brands made together snowboard named “welcome to the Family”. 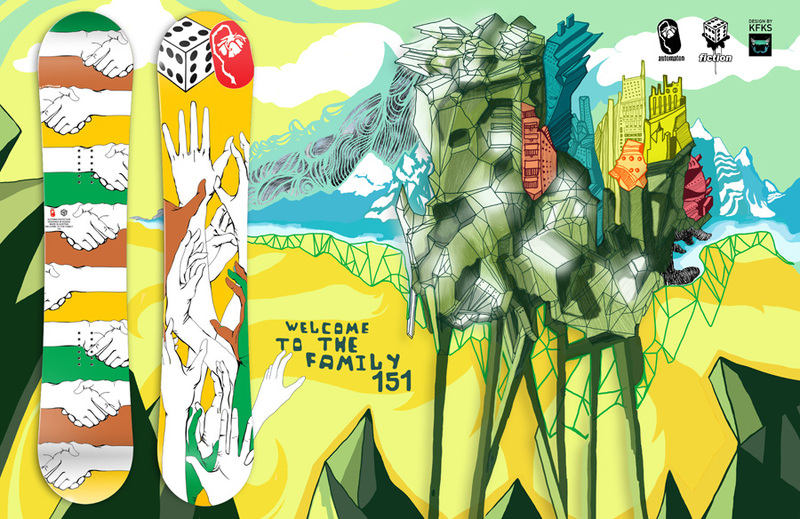 Design for than deck was made by Russian artist Nastya KaerfKrahs, which lives in America. 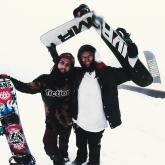 4SNOWMAG – interview for 4snowmag magazine.